During Spring break, production of The Accountant, starring Ben Affleck, took place in and around the Klaus building. Pre-production of the film began on March 14. Officially, filming took place from March 16 to March 17, and various parts of the Klaus complex, including the courtyard and Ferst Drive in front of the building, were closed to the public or had limited access. The three locations directly used were the Ferst Drive stairway, the Klaus Atrium and Cooley Binary Bridge. Personnel associated with Tech were instructed not to photograph or take video of any part of the production or any persons involved with the filming in an email sent by Stacey Grayson, the Administrative Coordinator for the Klaus Advanced Computing Building. 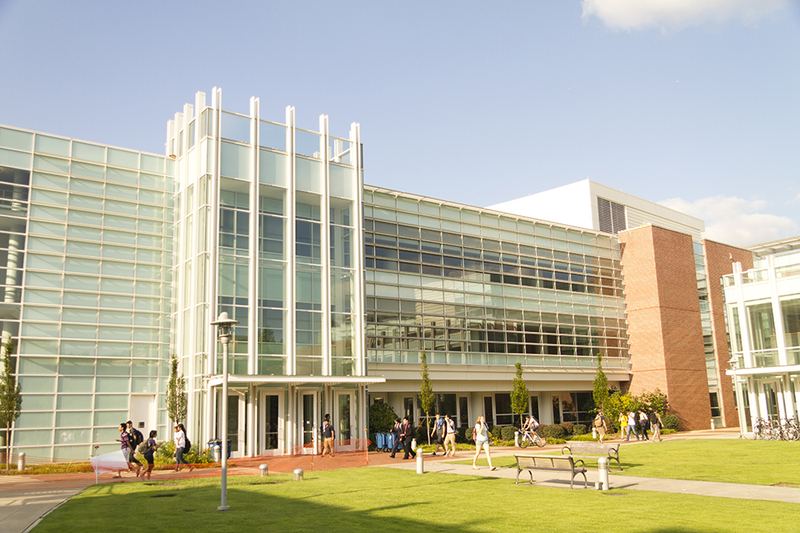 Students, faculty and others associated with the College of Computing were notified of various inconveniences such as lack of HVAC and the need to black out office windows during filming periods. Students and faculty were also advised of potentially dangerous electrical cabling which would run throughout the area, including segments within the building. The unique contemporary architecture combined with its convenient placement in midtown Atlanta makes the campus an attractive shooting location, according to Lisa Grovenstein, Assistant Vice President of News and Campus Communications at Tech. “Georgia Tech accommodates film productions, when possible, in support of the state of Georgia’s focus to welcome this industry and the positive economic impact they bring to the state,” said Grovenstein. According to a description by the Office of Capital Planning and Space Management (CPSM), the process by which a film acquires approval to shoot on campus begins with a Tech review of the script content and context. The filming conducted over Spring break was initially proposed by The Accountant’s team in Fall 2014, and its application went under review as per the aforementioned process. “Because our guidelines limit productions primarily to the breaks between semesters and official breaks, the recent production was approved for the week of spring break,” Grovenstein said. However, a high percentage of filming applications reviewed are not approved by the Film Logistics Committee. According to Grovenstein a number of factors can result in the denial of a request, including the times and/or dates desired for filming, availability of the proposed shooting location and the overall scope of the production. The Accountant follows The Internship (2013) as another film with well known actors utilizing Tech’s unique locations during production.